Ships tomorrow if you order in the next 23 hours 42 minutes. Dopamine is one of the neurotransmitters in your brain that plays a key role in a healthy overall mood, as well as your ability to stay focused and alert. 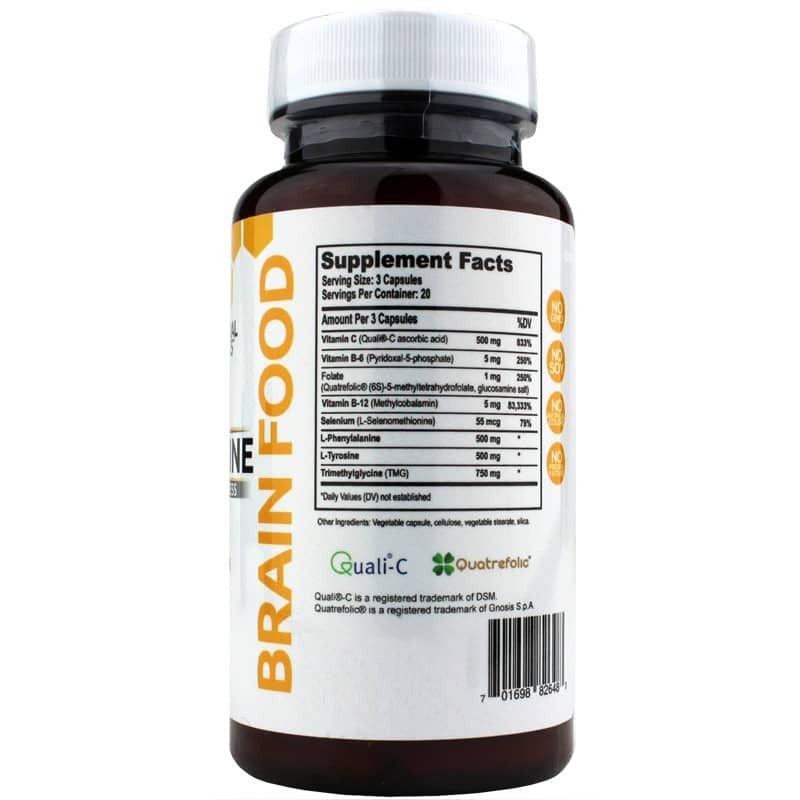 If you've been searching for a little extra boost, Natural Stacks offers a product called Dopamine Brain Food that provides a blend of nutrients that may help boost your overall cognitive health. 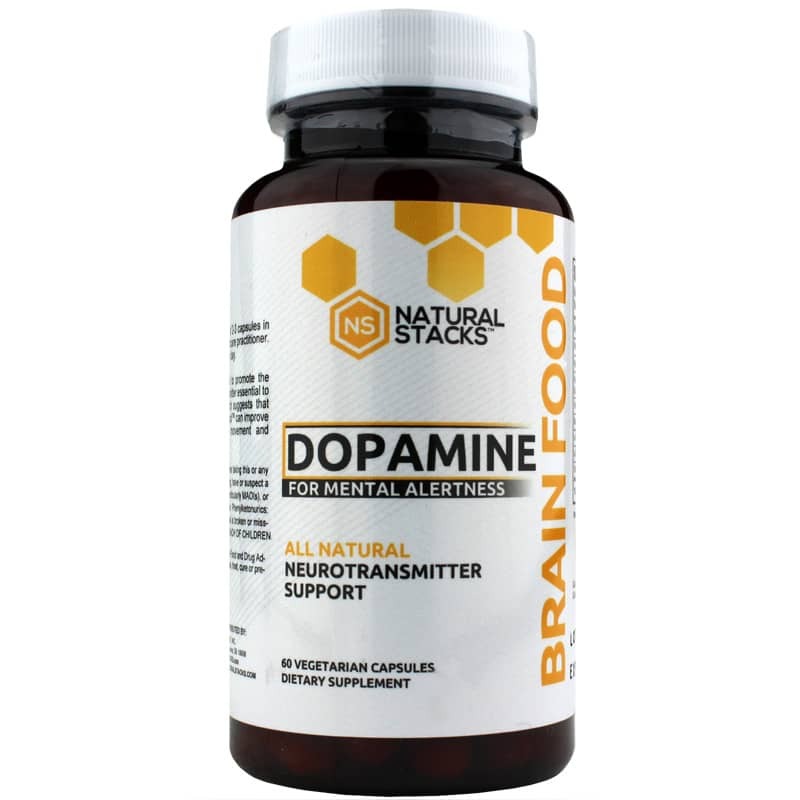 Every batch of Dopamine Brain Food from Natural Stacks contains the necessary precursors and cofactors for optimal dopamine metabolism. It contains no GMO ingredients, soy, preservatives or artificial colors. Make the right choice to give your brain a healthy boost. Choose Dopamine Brain Food and see the difference it may be able to make in your cognitive health. Order now! Contains NO: GMOs, soy, artificial colors or preservatives. 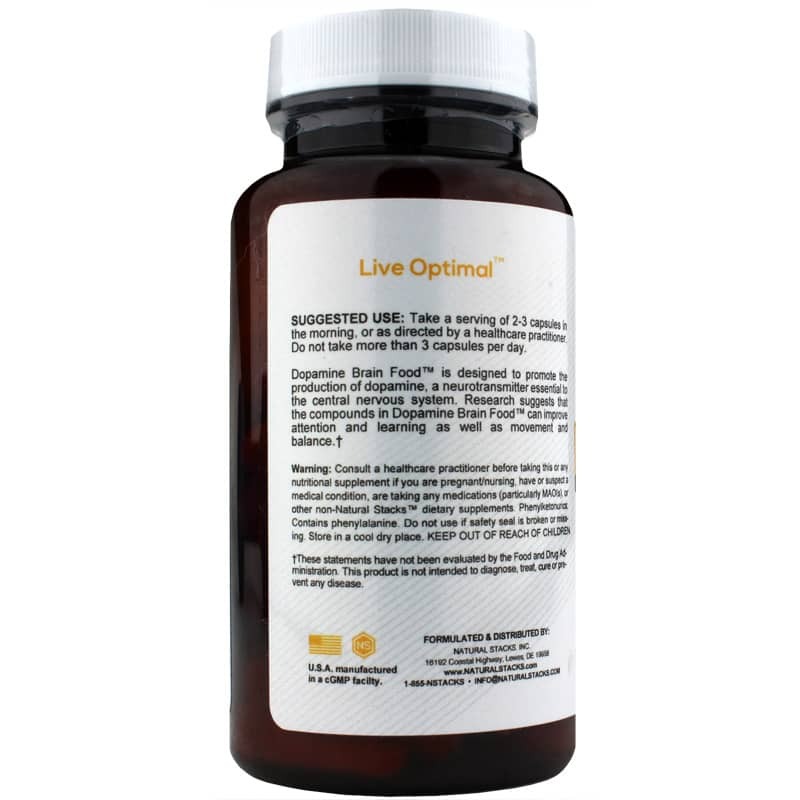 Adults: Take a serving of 2 to 3 capsules in the morning or as recommended by a healthcare professional. Do not take more than 3 capsules per day. If you are pregnant, nursing, taking medications or have a medical condition, please consult your healthcare practitioner before taking any dietary supplement. Keep out of the reach of children. Phenylketonurics: Contains phenylalanine.